You can find out a lot about a person by asking just the right question. Are you a cat person or a dog person? Do you like spending time indoors or outdoors? Coffee or tea? 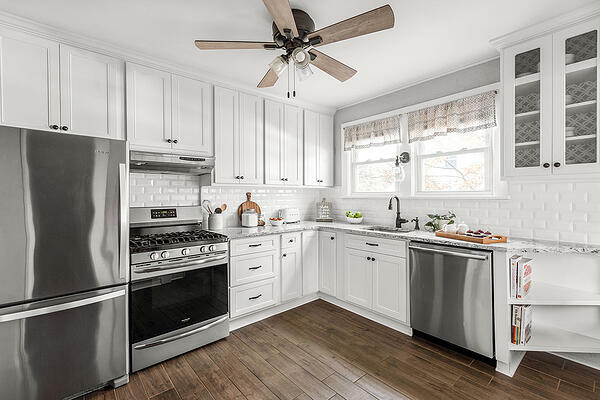 Do you prefer your cabinet refacing to be done with wood or laminate?That last one might have stumped you, but since we are in the kitchen cabinet business, we get to learn a great deal about our customers by their kitchen remodeling choices. 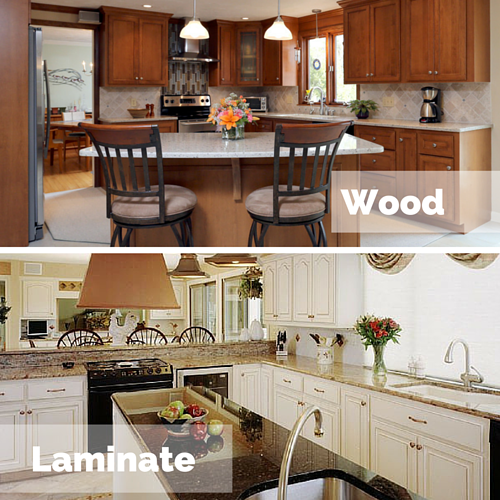 Here are some questions we would ask to help you decide whether or not you should choose laminate or wood for your cabinet refacing project. Do you just love to have a long list of things to do around the house? Are you a putterer? Does your idea of a great weekend start with you, a rag, and a bottle of wood polish? If you answered, "yes" to two or more of the above questions than wood cabinet refacing is the surface for you. Wood is, indeed, a little more high maintenance than its laminate counterpart. It's sensitive to changes in heat and moisture, and is sensitive to staining. It can also fade from direct sun exposure. If you select real wood for your kitchen cabinets, you will have to treat them with a little extra TLC. 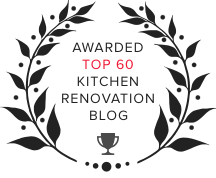 Do you change your kitchen cabinet colors bi-annually? If you're one of those people that just loves to change up the interior decor every couple of years, we recommend a laminate finish for your kitchen cabinets. First off, wood cabinetry is gorgeous as it is. Paint just covers up all that natural beauty, which makes the higher level of maintenance (see above) a waste of your time. 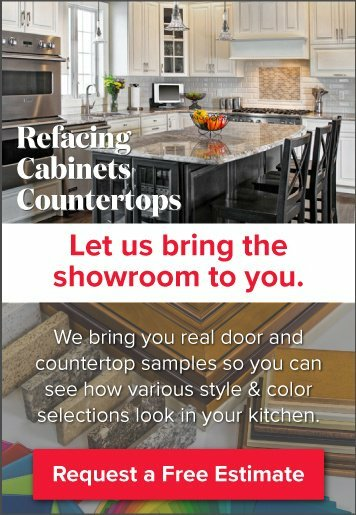 Laminate cabinet refacing can be easily primed and painted, allowing you to experiment with your kitchen colors as often as you would like. If you are traditionalist, then you should go wood all the way. While they are higher maintenance, they are worth the effort. Wood is beautiful and the right wood finished cabinets will make your kitchen glow. If you want to add a little color, there are ways to paint your wood cabinets and still allow their beautiful grain patterns to be shown off. See? 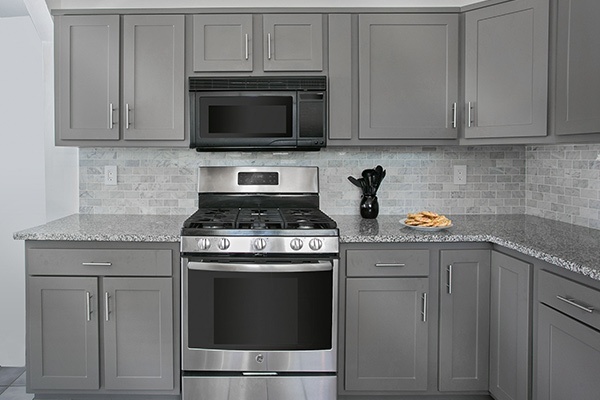 You may just have even learned a little about yourself while deciding which cabinet refacing material is right for your kitchen remodeling project.